UPSC Civil Services Mains Exam is the second stage in the selection process for prestigious services like IAS, IPS, IFS etc. The candidates who have cleared Civil Services Preliminary exam are allowed to sit for Civil Services Mains. Around 15000-20000 people attempt this exam every year, out of which based on the number of vacancies about 3000 are called for the interview. So if you have made it this far then congratulations! But before you start celebrating know that the competition has just started. Since all the fan boys are filtered out in prelims exam, only serious candidates are left to compete in mains. To make things even more difficult all the papers are subjective making it a very lengthy written exam. 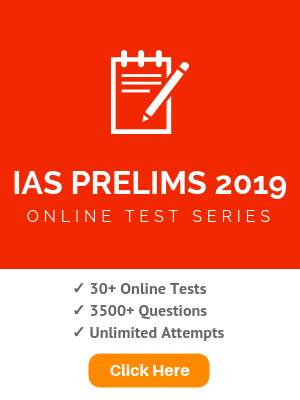 You are lucky if you happen to be reading this guide at least one year prior to appearing for civil services exam because UPSC has reduced the time given between prelims and main to almost 3 months which is fairly less than what you actually need. So better start your mains preparation even before you start for prelims. Also given the syllabus overlaps so much you can expect to clear the prelims easily if you have prepared for the main exam seriously. Allow me to teach you how to crack upsc main examination to face the wrath of interview board. Note : Once you clear prelims, you will have to again fill up a new/separate form known as “Detailed Application form” (DAF). You also need to select optional subject in online prelims-form. Be careful as you can’t change it afterwards. 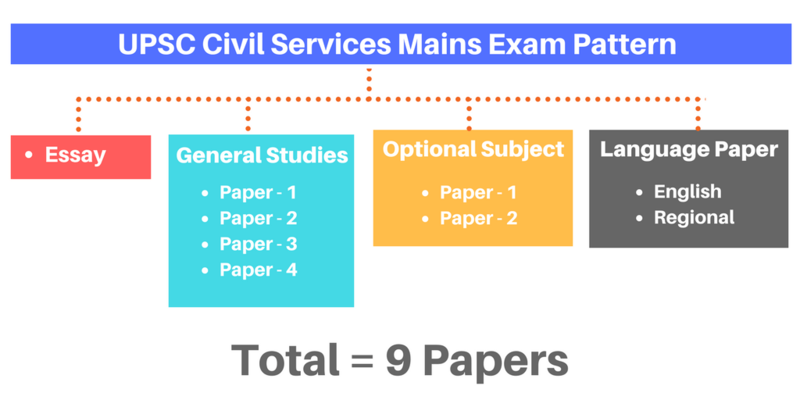 According to the latest pattern of Civil Services Mains Exam (revised in 2013), the mains exam now has 4 general studies papers, 2 optional subject papers, 1 essay paper and 2 language papers making it a total of 9 papers conducted over a time period of 5 days. Candidates are required to write essays on given topics. Multiple topics are given and you can choose accordingly. You can write this paper in English, Hindi or any recognized regional language. Question are asked from Indian Heritage and Culture, History and Geography of the World and Society. Question are asked from Governance, Constitution, Polity, Social Justice and International relations. Question are asked from Technology, Economic Development, Bio‐diversity, Environment, Security and Disaster Management. Question are asked from Ethics, Integrity and Aptitude. Candidates have to choose an optional subject (list given below) and questions will be asked from the subject. The difficulty level is little over graduation. This is the 2nd paper for your chosen optional subject. Candidate needs to choose an additional language from the recognized Indian languages (list given below) other than English for this paper. Marks for this paper are also not used to determine merit list or cut-off for mains and just need to be qualified. Note : *Marks of language papers (English and Regional) are not used for written test marks calculation because of their qualifying nature. Hence the sub total for UPSC mains exam is 1750 marks. Optional Subjects List : Agriculture, Animal Husbandry and Veterinary Science, Anthropology, Botany, Chemistry, Civil Engineering, Commerce and Accountancy, Economics, Electrical Engineering, Geography, Geology, History, Law Management, Literature, Mathematics, Mechanical Engineering, Medical Science, Philosophy, Physics, Political Science and International Relations, Psychology, Public Administration, Sociology, Statistics, Zoology. List of Choices for Second Language Paper : Assamese, Bengali, Gujarati, Hindi, Kannada, Kashmiri, Konkani, Malayalam, Manipuri, Marathi, Nepali, Oriya, Punjabi, Sanskrit, Sindhi, Tamil, Telugu, Urdu, Bodo, Dogri, Maithilli. If you are really willing to clear the mains in first attempt or even better you wish to ace it then be prepared to study at least 8 hours a day regularly. The papers are lengthy and even the fastest writers struggle to complete the paper on time. Stay on your toes from the first moment in the exam and do a lot of writing practice before hand. I will be explaining you in detail how to prepare for all the 9 papers individually. Though keep in mind the questions in mains are highly analytical and the way question are framed you will find most of the syllabus and subjects interconnected. Research oriented preparation, in-depth knowledge and ability to interrelate the topics is truly the key to success in upsc mains. How to prepare for UPSC Mains Essay Paper (Paper-I) ? Read editorials of English newspapers primarily from The Hindu and Indian-express. (However don’t try to replicate the journalist’s extreme opinion or excessive criticism towards government policies.) Stay moderate and always try to provide solutions to the problems you point out. Watch news channels and Rajyasabha TV on a regular basis specially attending the discussions or debates. Analyse old papers and answers written by toppers to better understand the answer framing techniques. How to crack UPSC Mains General Studies GS-1 (Paper-II) ? I advice the absolute beginners to start making notes with NCERTs – Class 11 Fine Arts – Introduction to Indian Culture (Part I), Old NCERT on Ancient History, Old NCERT on Medieval Indian History, NCERT Themes in Indian History Part III, NCERT class 12 Politics in India after Independence. After reading these text books you can move on to National Institute of Open Schooling free material on Culture and IGNOU notes. Regularly browse through ccrtindia.gov.in. Once you get your basics right add more content to your personal notes from “India’s Struggle for Independence” by Bipan Chandra, “A New Look at Modern History” by B.L. Grover and S. Grover, “India after Independence” by Bipan Chandra, “Wonder That Was India” by A. L. Basham (a good read but not necessary). For modern world history I recommend you to refer “Mastering Modern World History” by Norman Lowe. Start your preparation with “Certificate Physical and Human Geography” by G C Leong, Fundamentals of Physical Geography NCERT Class 11th, India: Physical Environment NCERT Class 11th, India: People and Economy NCERT Class 12th. NCERT 12th: Indian Society, NCERT 12th: Social Change and Development in India. Once you have given 2-3 reading to NCERTs you can read “Geography of India” by Majid Husain and then later “World Geography” by Majid Husain. Both of them are excellent books for GS1. Further more “Orient BlackSwan School Atlas” and “Status of Forest Report” are there to take necessary references from while preparing for GS-1. 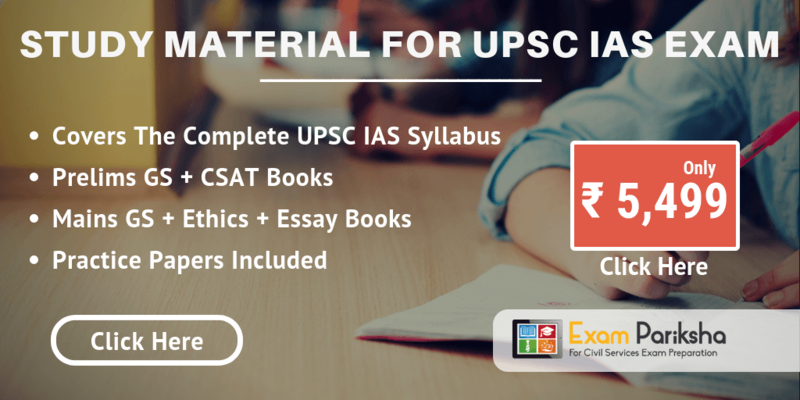 How to prepare for UPSC Mains General Studies GS-2 (Paper-III) ? For this paper start reading NCERT Class 11th – Indian Constitution at Work and start making notes on Indian Constitution as a lot of basic questions are asked all the time from this topic. Standard books which you must read thoroughly are “Indian Polity” by M. Laxmikanth and “Introduction to the Constitution of India” by DD Basu. Go through PRS India blog (PRSindia.org) at least once a week. Some government reports which you shouldn’t be missing are “Punchhi Commission Report”, “2nd ARC Report”, “14th Finance Commission Report” , “12th Five Year Plan Document”. As usual you clear your basic concepts with NCERT class 12: Political Science: World Politics while starting to make your own notes on the subject. Refer to “India’s Foreign Policy” by Rajiv Sikri, “Ministry of External Affairs” – InFocus. Here Newspapers such as The Hindu and IndianExpress are your true friend. International relations from India’s perspective are covered extensively in both newspapers (Keep an extra eye on relevant Editorials). 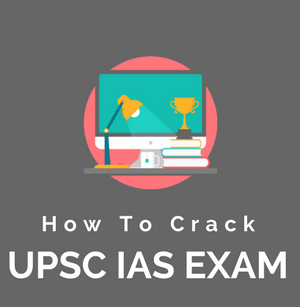 How to crack UPSC Mains General Studies GS-3 (Paper-IV) ? NCERT class 11th – India’s Economic Development and class 12th – Geography India People and Economy will get the job done for economy fundas and static economy. Read “Indian Economy” – Ramesh Singh once you attain good hold on NCERTs with plenty of revisions. Check out last Budget and Economic Survey (2016-17) to get some facts and fodder material to state while writing economy questions in the GS3 paper. Go through “Internal Security & Disaster Management” by Ashook Kumar, “TMH”, “Science and Technology” by Spectrum Publication. Ministry of Home Affairs Annual Report would be more than enough material to get good marks in these topics. How to prepare for UPSC Mains General Studies GS-4 (Paper-V) ? Generally there is no hard and fast rule to prepare for ethics but I recommend you to must read “Ethics, Integrity and Aptitude for Civil Services Main Examination V” by Subba Rao and P.N. Roy Chaudary. Also read and revise the “2nd ARC Report” (4th Report). How to crack UPSC Mains Optional Subject Paper (Paper-VI, VII) ? Syllabus of optional papers (whichever you may choose) is mostly a little harder than university graduation level. Choose a subject that you had good hold on during graduation or you can try public administration, history, political science etc. as a lot in the syllabus in these subjects overlaps with general studies papers. If you are specifically weak in your optional subject then I strongly recommend you to join some offline coaching or tuition classes. How to prepare for UPSC Mains English Language Paper (Paper-A) ? This is a paper of qualifying nature and you should read English grammer topics from NCERT text books (Class 1st to 12th). Pick up “Compulsory English – Solved Papers for Civil Services Examination” and see what kind of questions are giving you hard times and prepare on those segments separately. How to crack UPSC Mains Regional Language Paper (Paper-B) ? This is going to depend totally on the language that you choose. In most cases there are plenty of state board text books on most languages and you can refer those in relation to the syllabus. Again being a qualifying paper choosing a language you feel comfortable reading & writing in general and a little practice on previous year papers will take care of it. optional marathi releted reference materials….